Call The Tutoring Center, Frisco TX at (469) 980-7940 for expert assistance on achieving your academic goals. To learn new words, you need to encounter new words. That's why, the first tip to help you widen your vocabulary, is to make reading a habit because, when you read, you're more likely to come across words you're unfamiliar with. If possible, you should read material by great authors who have a mastery over the English language, so you can find new words and learn how to employ them skillfully. Likewise, you should expand the type of material you read. Going over a variety of subjects and texts will allow you to have a more diverse vocabulary. Still, if you're not used to reading, you can set small, doable goals to make a habit out of it. For example, a good place to start would be to read half an hour each day. You can increase your reading time little by little as time goes by. Reading and finding new words are recommended to build up your vocabulary. 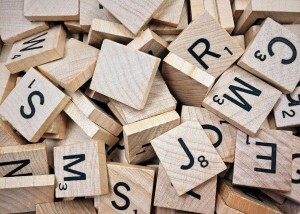 Nonetheless, having a collection of words with no idea what they mean won't be of much help in your journey to becoming a better communicator. That's why, the next step in this tutorial is to keep a dictionary by your side, and to use it to search for the definition of unknown words. Plus, having and using a dictionary can help you become a word expert, as you'll also be able to learn what a word's part of speech is, its pronunciation, synonyms, and other similarly useful information. One thing to keep in mind, however, is that you should focus on understanding the words' meanings, so you can employ them correctly. To that end, if a definition isn't clear, find ways to resolve that, so you can learn the word in an effective manner. Once again, reading helps you come face to face with words that are unfamiliar to you. However, you need to take a more active approach and actually employ those words in order to expand your vocabulary. For that reason, it is recommended that you write on a regular basis. Keeping a journal, for example, can help you with your vocabulary, your grammar and spelling skills, your feelings and thoughts, among other benefits. If you have no idea of what you could be writing, you can document your day-to-day life, including what you did, felt, and thought throughout any given day. You can also take a more creative road to work your imagination and try your hand at writing short stories. The Tutoring Center, Frisco TX can provide the guidance you require to become a better learner this school year. Call (469) 980-7940 to enroll in one-to-one tutoring in Frisco TX, or to request a free diagnostic assessment. As stated a few times over throughout this post, there are two ways to approach vocabulary building: actively (through writing) and passively (through reading). However, if you like to manage your time efficiently, then you should employ an alternative that will allow you to do both at once: talking. This is because, when you're listening to others talk, you can pay attention to any unfamiliar words they may use, as well as learn how they use them. This, as you can imagine, takes care of the passive way of learning new words. Likewise, you can practice your vocabulary and make an effort to utilize newly-learned words (in an active manner), so they can become part of your regular vernacular in no-time. Last but not least, if you love to have fun, then why not make having fun a learning experience? We live in an era in which there are many learning alternatives, and some of them involve games. For instance, you can gather with friends and family to play a game of Scrabble, and you'd be practicing your vocabulary. Additionally, you could try completing a crossword puzzle to widen your word pool. Not only that, but you can search for apps or online games, as there are a variety of them designed to help users or players work on their vocabulary. Call The Tutoring Center, Frisco TX at (469) 980-7940 to inquire about their academic programs, or if you'd like to enroll in tutoring in Frisco TX.